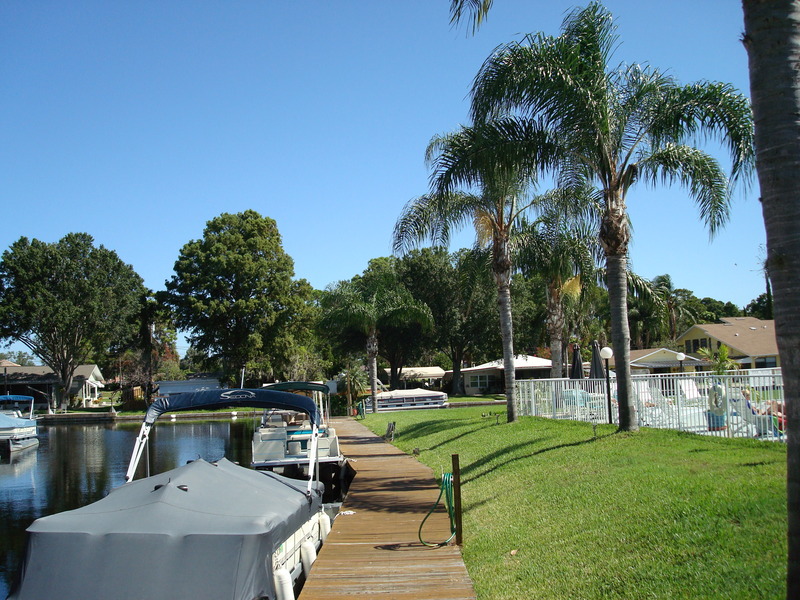 Lake Tarpon Villas is a modern, stylish, quiet, low-level apartment complex with direct access to seven-mile long Lake Tarpon (the second largest lake in Florida) which is great for bass fishing and water skiing. 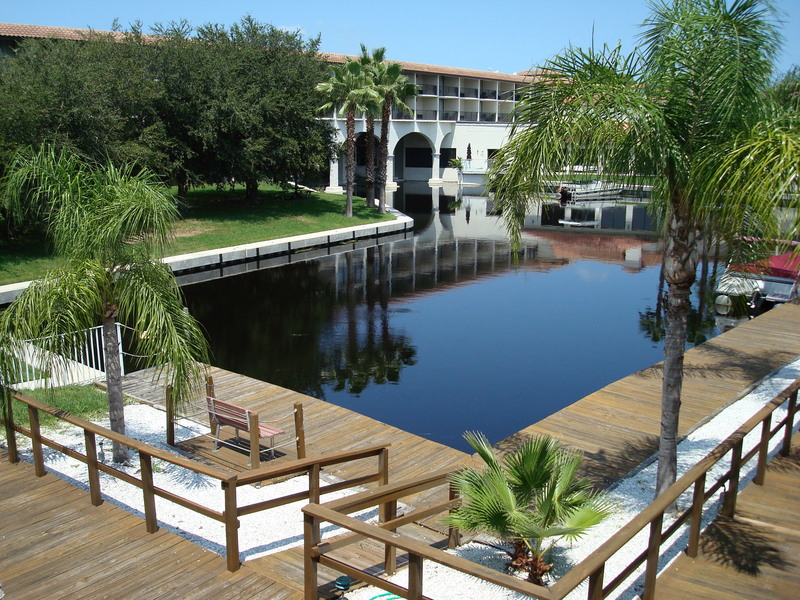 Both apartments look out onto water, boardwalks and boat docks. 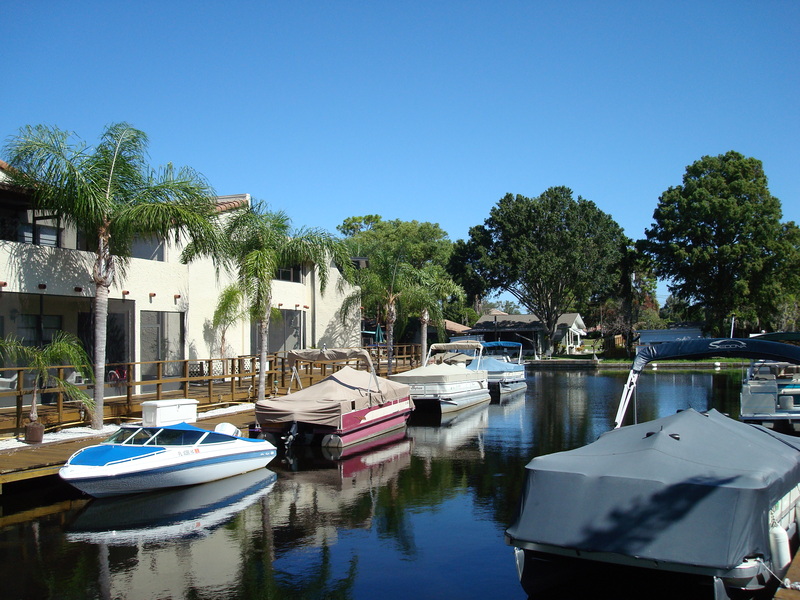 Often you will see fish in the water and storks and herons right outside on the decking. Our gas-grill-BBQ is on the decking right by the waterside. This is guest John Whitelaw with his catch right from our decking/dock. The hotel next door has a restaurant and bar.